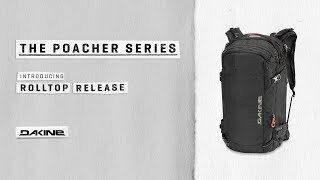 The Dakine Poacher 26L R.A.S. is Dakine pro rider Chris Benchetler’s signature pro model backcountry pack. We’d highly recommend the Dakine Poacher 26L R.A.S. – Ready for anyone who demands a perfect-fitting pack for charging hard in the backcountry or sidecountry. Curious about flying with an Avalanche Airbag?